Get a feel for your art--literally! Learn every technique you’ll need to give your colored-pencil drawings realistic, palpable texture. There has never been a better time to master textures! Knowing how to make your surfaces and textures look real is one of the most challenging aspects of creating art in coloured pencil, even for experienced artists. 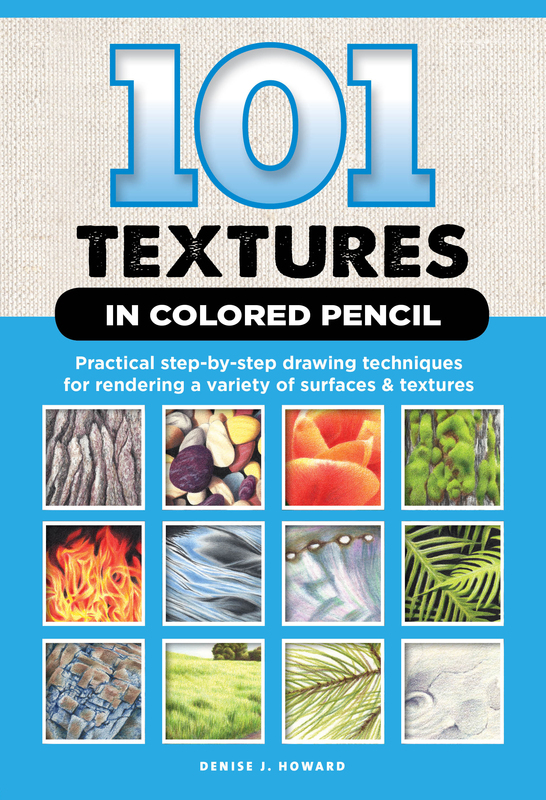 101 Textures in Colored Pencil provides artists with step-by-step instructions for drawing a wide variety of the most common textures and surfaces, including sand, water, metals, foliage, wood, fabrics, stone, grass, hair, and many more. 101 Textures will take you through the best and most affordable tools at your disposal as well as techniques for the surfaces on which you draw. Each page is a comprehensive resource on how to create a specific texture, complete with two to three easy-to-follow steps and a final, detailed image of the finished artwork. Plus, the book is organised into sections based on subject matter, making finding what exactly what you need a breeze. Don't put your artistic endeavours on hold! Denise Howard grew up on a midwestern farm surrounded by animals and nature, drawing constantly. After earning degrees in both Art and Computer Science, she worked as a software engineer for companies such as Apple and PDI/DreamWorks, and earned movie credits on Antz and the Academy Award-winning Shrek.